Celebration Gallery: Celebration Gallery is the primary exhibition area in the UCCC facility. 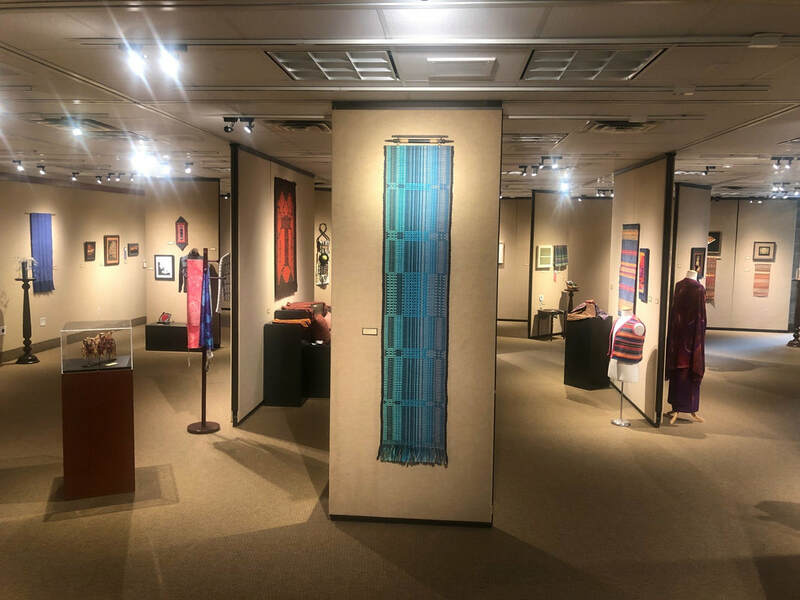 Exhibitions run approximately 6 – 8 weeks, and can accommodate both wall and pedestal pieces, and many multimedia installations. 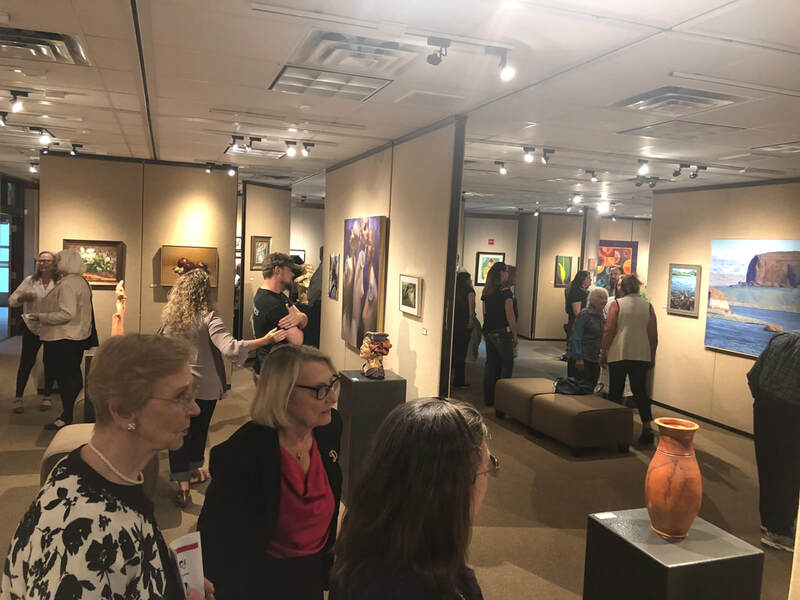 Artist collectives, multiple artist curated shows, guilds, societies and community/group shows are preferred in the Celebration Gallery. Individual artist shows are generally not shown in the Celebration Gallery. Exhibitions are scheduled 12 – 18 months in advance of opening date. UCCC staff designs promotional material for primary exhibitions for use in digital media. Production of printed material is available at an additional cost. 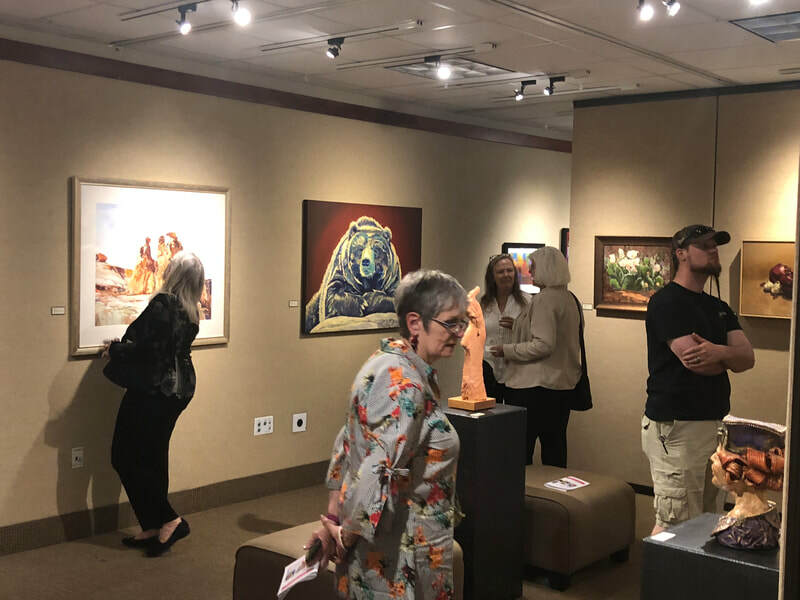 UCCC plans and promotes an opening reception for each exhibition in the Celebration Gallery. Food, beverage & bar service, and musical and/or other entertainment is available at an additional cost if desired. 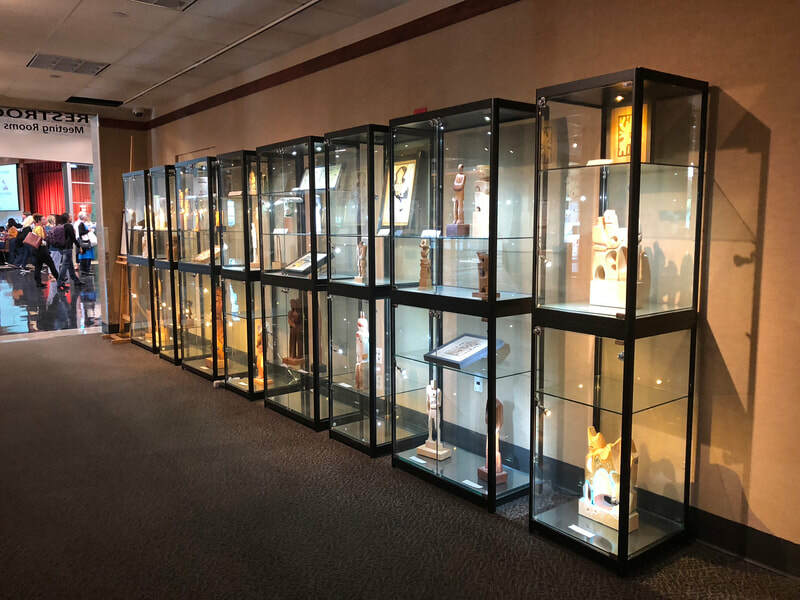 Crescent Gallery: Generally Crescent Gallery exhibitions run approximately 4 – 8 weeks and are typically limited to 2-D wall pieces, although some 3-D or sensitive items may be displayed on pedestals inside a large glass showcase. 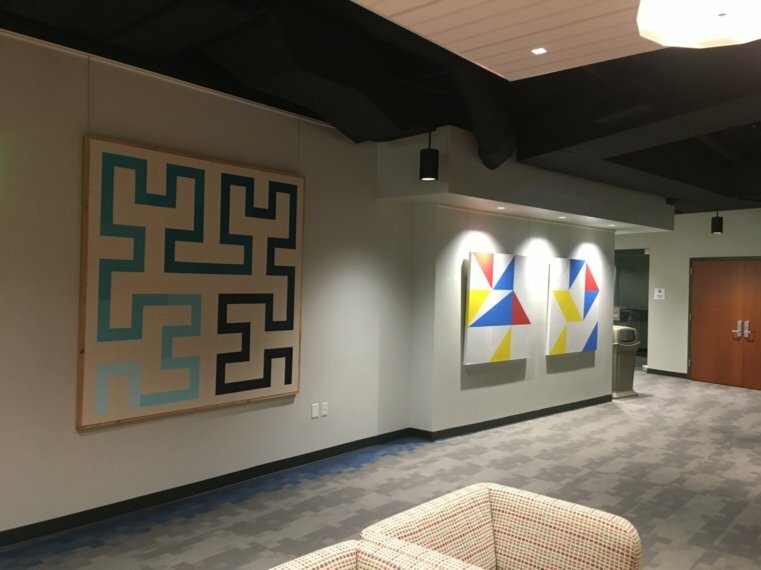 Individual artist or group exhibitions may be shown in the Crescent Gallery. Crescent Gallery exhibitions are scheduled 4 – 6 months in advance of opening date. Opening receptions are not provided for Crescent Gallery exhibitions. However, artists or arts organizations are welcome to contact the UCCC sales team regarding facility use for additional special events. Crescent Gallery exhibitions are promoted through our standard media outlets and calendars. Plaza Level Gallery: Plaza Level Gallery exhibitions run approximately 4 – 8 weeks and are limited to 2-D wall pieces. 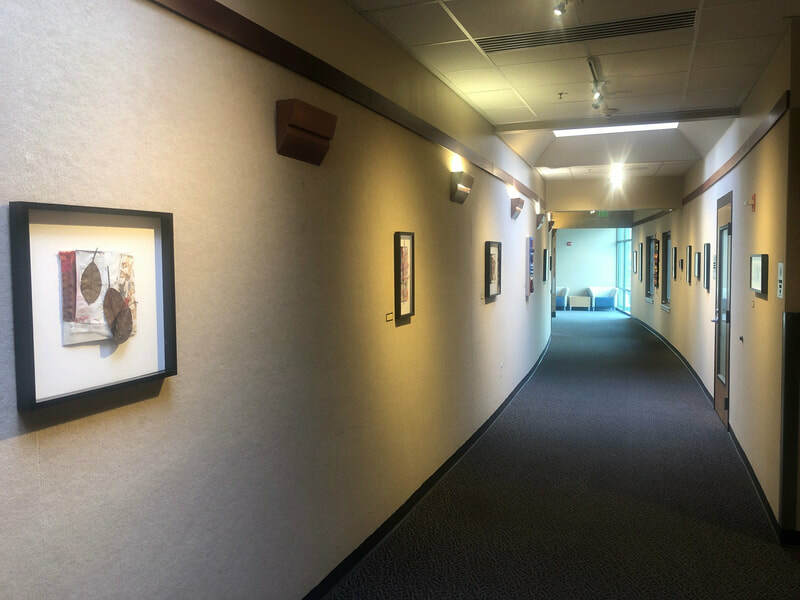 Individual artist exhibitions may be shown in the Plaza Level Gallery, although small group shows are encouraged. Plaza Level gallery exhibitions are scheduled 4 – 6 months in advance of opening date. Opening receptions are not provided for Plaza Level Gallery exhibitions. However, artists or arts organizations are welcome to contact the UCCC sales team regarding facility use for additional special events. 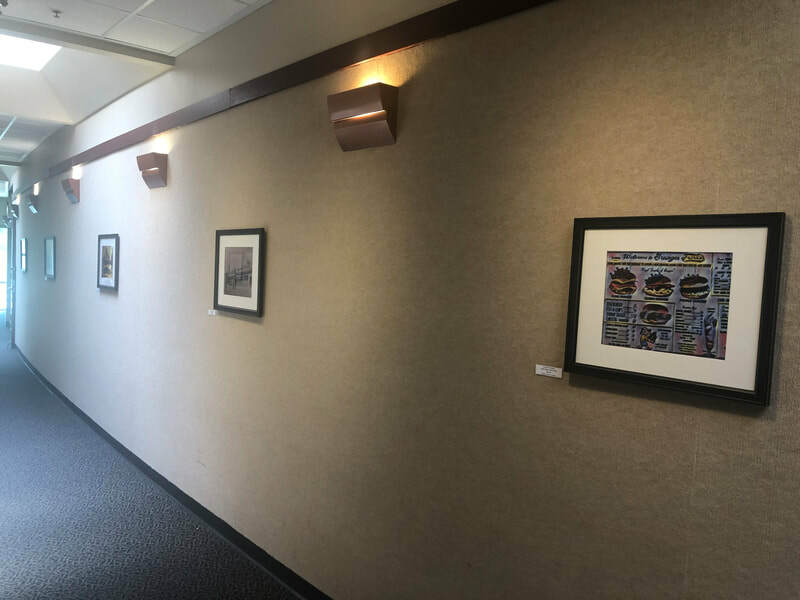 Plaza Level Gallery exhibitions are promoted through our standard media outlets and calendars. 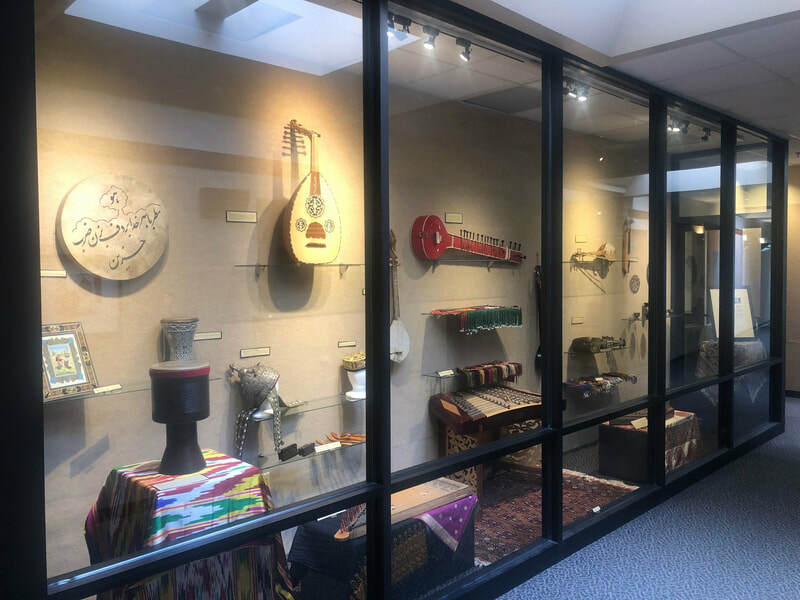 Bridge Gallery: Bridge Gallery exhibitions are reserved for smaller 3-D or sensitive items that must be shown in glass display cases, and run 4 – 8 times per year, from January through October. 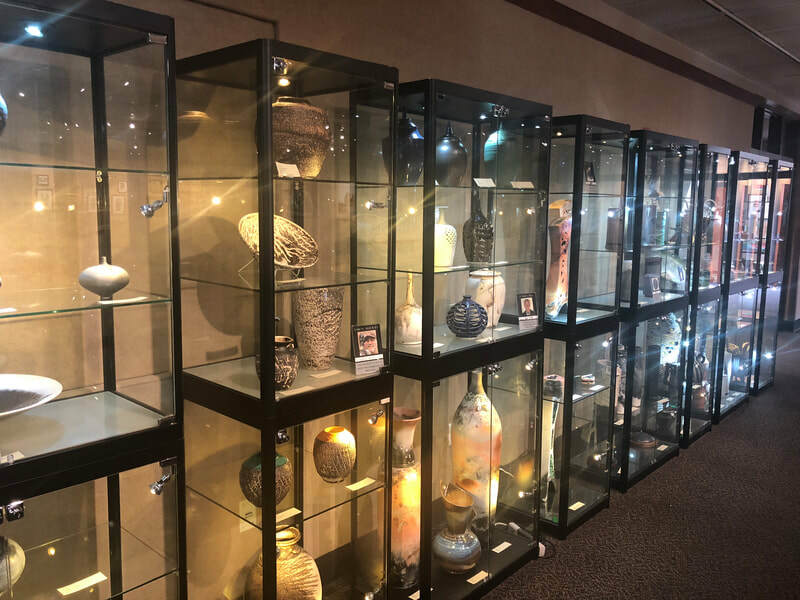 Examples of artwork shown in the Bridge Gallery include pottery, ceramics, glass items, jewelry, fiber art, small crafts, carvings, or cultural artifacts. 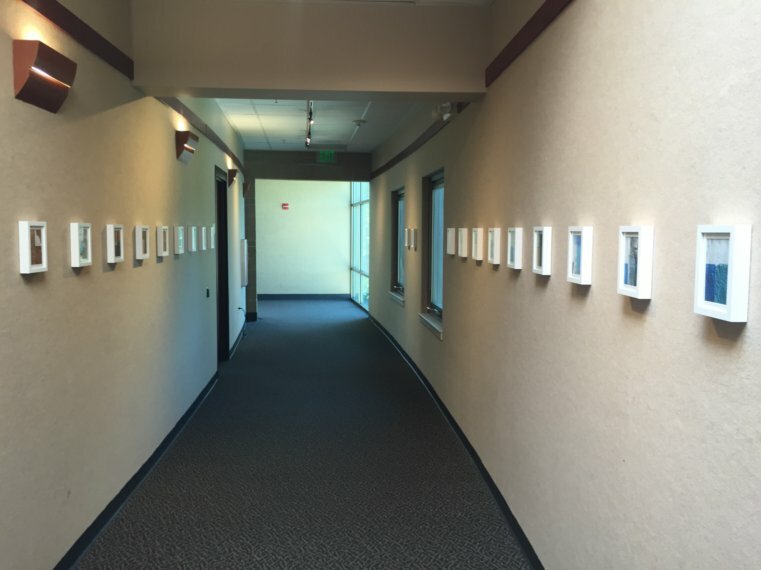 Individual artist or group exhibitions may be shown in the Bridge Gallery. Opening receptions are not provided for Bridge Gallery exhibitions. However, artists or arts organizations are welcome to contact the UCCC sales team regarding facility use for additional special events. Bridge Gallery exhibitions are promoted through our standard media outlets and calendars. 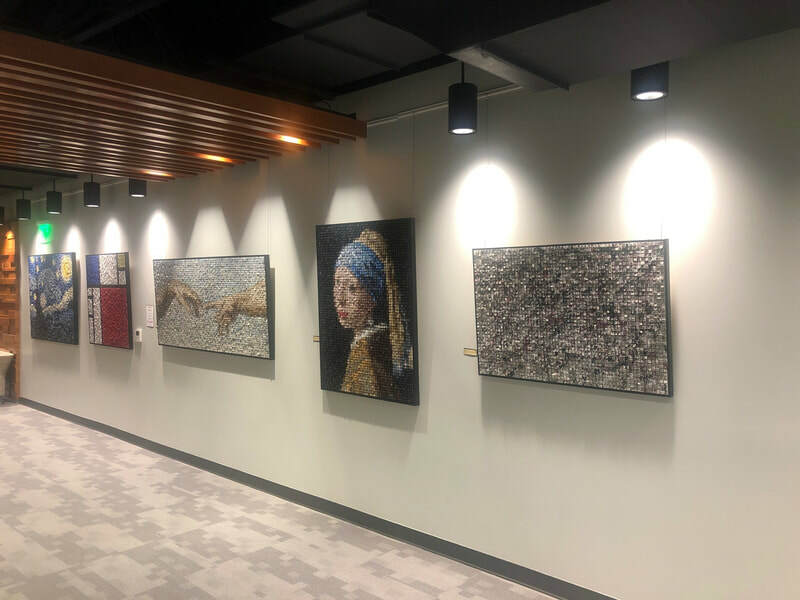 Featured Artist Showcase: Featured Artist Showcase exhibitions run quarterly, featuring large-scale, 2-D works, offered for sale, and placed at strategic, highly visible, public locations throughout the Utah Cultural Celebration Center. Opening receptions are not provided for Featured Artist Showcase exhibitions. However, artists or arts organizations are welcome to contact the UCCC sales team regarding facility use for additional special events. Featured Artist Showcase exhibitions are promoted through our standard media outlets and calendars. Please note that submitting this application does not guarantee an exhibition booking at UCCC. The Utah Cultural Celebration Center keeps a 30% commission on all art sales, and will manage all sales directly. All art sold shall remain on the premises until the conclusion of the exhibition, unless otherwise arranged between UCCC, artist, and buyer. It is not mandatory for artworks to be for sale, although it is encouraged. Any commission on art sales goes toward funding UCCC arts and cultural programming. Applications are reviewed by the West Valley City Division of Arts & Culture's Visual Arts Committee. 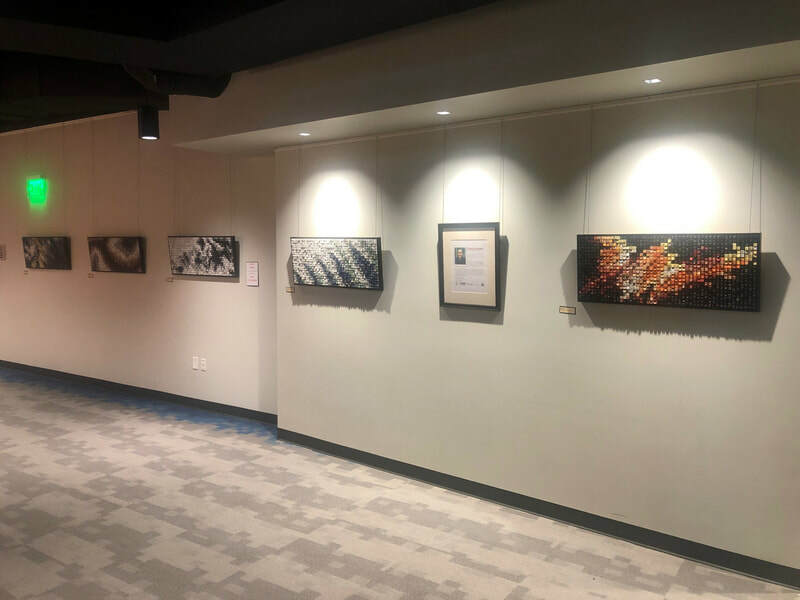 Please upload visual samples of your work and indicate if these are the exact pieces to be displayed, or if they are representative of final work. Please upload one file indicating Artist Name, Title, Medium, Dimensions, and Year Created for each submission.